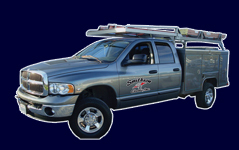 Smithson Electric, Inc. originated and has remained in the Oviedo area since 1971. Founder, owner and Master Electrician Rodger Smithson is still involved in the day to day operation of the business. With over 200 years of combined experience and team members averaging over eleven years of service with the company, the Smithson Electric family is proud of our decades long reputation of providing quality service at a fair price. Smithson Electric, Inc. supports our apprentices through the Florida Electrical Apprenticeship Training Program and all of our team members enjoy a competitive benefits package. Because we pride ourselves on customer service, your call during regular business hours will be greeted by an actual person (more than likely you will speak with that same person every time you call!) Our dedication to customer satisfaction is reflected in our long history of referrals and word of mouth advertising. Some of our customers are involved in security sensitive industries (national security technologies, corrections facilities, schools, municipalities, etc.) that have strict security requirements. Therefore, all of our field employees have had thorough background checks performed. Thank you for visiting our website, we look forward to working with you!